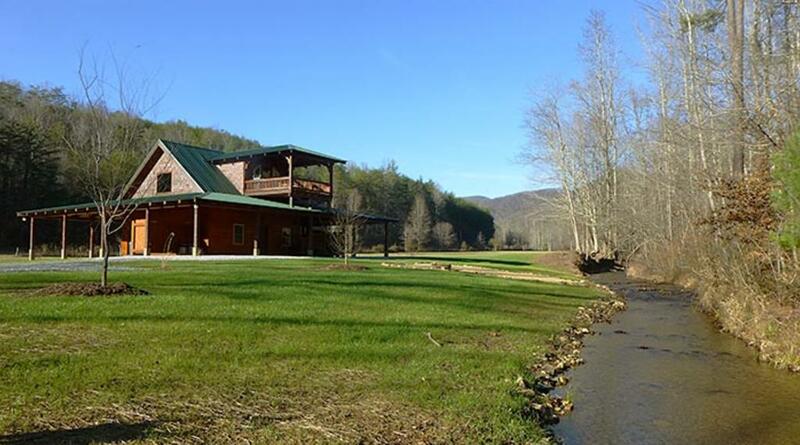 Daisy's Creekside Cabin is the perfect mountain getaway. 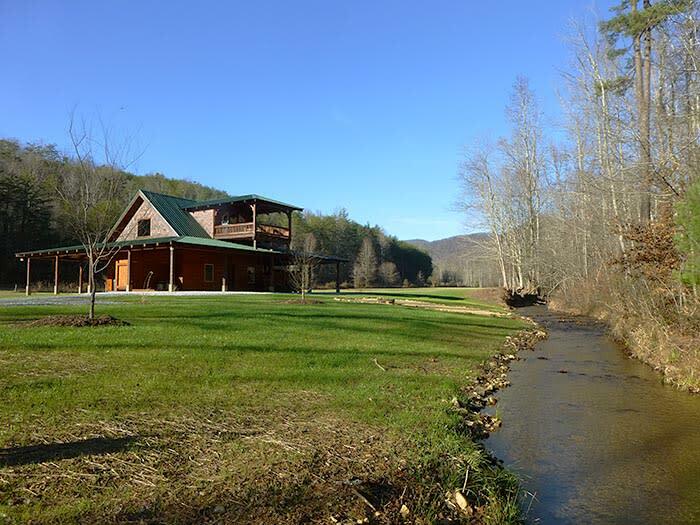 It sits all by itself on 28 acres of secluded ground, amid forest and meadows, with a bubbling creek in your front yard. This very private, elegantly furnished and decorated cabin is designed for a private, relaxing getaway for two. Daisy was built in the 1800's fashion, with large posts and beams and high ceilings. All the wood is hand draw-knifed. The period style yellow pine floor shows the saw marks and is set by cut nails from a forge built in 1797.